since 1968. I have held a Missouri Real Estate license for over 35 years, and have been a Certified Appraisers Guide of America for 10 years. I've sold auctions for real estate, antiques, farm, business liquidations, bankruptcy, household and livestock auctions for 44 years. 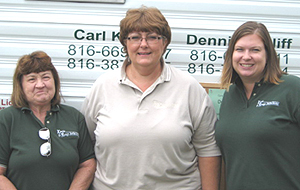 We will give you as much or more experience as any auction company you will find in Northwest Missouri. 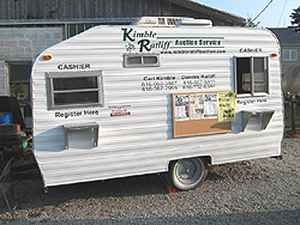 We provide, personalized advertising, an experienced ring man, 2 cashiers, clerk, computerized mobile cashier trailer, tables and display trailers. Please give us a call when you are considering having a auction and we will be glad to produce a successful auction for you or your company. Our motto: "You make the call and we’ll do it all."